I was lucky enough to be asked by my employer to travel to the company’s Vancouver office to attend an internal workshop. Being a keen parkrun tourist, of course I soon began scheming potential parkrun possibilities! 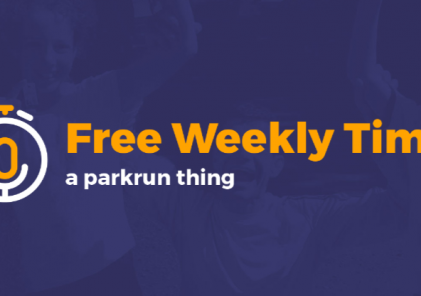 I knew of the Richmond Olympic parkrun as I had previously attended another company workshop in Vancouver, but unfortunately, the Richmond Olympic parkrun was launching the following week! Argh! Missing not only the ability to complete my regular weekly parkrun but a tourist opportunity and a launch, it certainly was frustrating! Anyway, now I had a second chance! I was also aware of the ability of complete two parkruns in the one day, after reading about other parkrunners completing the feat in the parkrun newsletter. I booked my flights so that I could potentially do the same. My Brisbane to Vancouver flight was scheduled to depart Brisbane at 10:40am and arrive about 13 and a half hours later at 7:10am on the same day, after crossing the international date-line. After booking the flights, I realized I would only have about 90 minutes to exit the plane, navigate the Canadian immigration and customs process, collect my baggage and get to the parkrun. Therefore, I began extensively perusing the Richmond Olympic parkrun website, scrolling through their Facebook page and even reaching out to the Richmond Olympic parkrun team, who kindly responded with some further advice on promptly finding my way to the start point. The day eventually arrived and I managed to complete my regular local Wynnum parkrun before returning home to shower, change and jump in a taxi to the airport. That was the easy bit. On arriving at the airport, I discovered the flight was already delayed. The delay then increased to over an hour before we boarded. At this point in time, I resigned myself to missing the parkrun altogether. Although I was initially frustrated, this resignation helped me relax while I watched four movies and re-read a favourite, Christopher McDougall’s ‘Born to Run’, the story of the ultra-running Tarahumara tribe. I also managed some sleep, but it was far from the ideal comfortable, undisturbed eight hours! We eventually landed in Vancouver at about 8:25am! 35 minutes before the Richmond Olympic parkrun began. Luckily, I had a good run through the airport, getting through the required checkpoints and finding my luggage quickly. Another advantage I had in order to get to my second parkrun of the day was my colleague Jovan, who very generously offered to pick me up from the airport and drive me to the parkrun so we could run together. Being a keen runner himself, we had previously run the New Farm parkrun together back in Brisbane, after one of his work-trips to my local office. With Jovan’s local knowledge, we managed to exit the airport and get to Richmond Olympic parkrun in rapid time, arriving at 8:55am! Amazingly, we could still make it! A quick change of clothes beside the road, and with Jovan having to double-back to the car to get his barcode (in certain circumstances ‘DFYB’ can be a four-letter word!) we arrived just in time to hear the end of the briefing and take our place in the field. And then we were off! Jovan shot off like a rocket and there was no catching him! I rounded the scenic course at a pace allowing some sight-seeing and plenty of appreciation directed towards the volunteers as I passed. I eventually crossed the line in a considerably slower time than my earlier run in the day. Luckily, I had plenty of excuses… jet-lag, the airline food, some on-course puddles, gravel in my shoe, the sudden seasonal change, the Coriolis effect … but sadly Jovan would have none of it! Amazingly, the conditions at the venues across the two hemispheres were near identical; early morning showers had cleared, leaving a wet track and some humidity, but identical temperatures of around 17oC/62oF, despite the Winter to Summer season-switch. With finish token now in hand, for me this moment is the best part of the week. The hard work of some heart-rate raising exercise is complete and a hearty breakfast beckons. Here the local parkrun community effectively takes over the local iconic Canadian Tim Hortons café. I agree Tim, donuts should be a breakfast staple! After our breakfast, Jovan completed his brilliant hospitality by dropping me off at my hotel where I badly needed some freshening up and some lying down! It was a very long day, but it was a fun challenge to be able to try to achieve and I certainly felt very lucky to have the opportunity, and enjoyed a great sense of accomplishment afterwards, or perhaps was that simply exhaustion?! I again would really like to thank the Richmond Olympic parkrun team for being so helpful and welcoming and of course my friend Jovan, for his assistance and company on the morning. The Richmond Olympic parkrun is a very scenic course beside the Fraser River and the Richmond Olympic Oval, a venue for the 2010 Winter Olympics. You pass an amazingly tall silver, vertical water artwork near the start/finish, and then yacht and rowing clubs whose members out on the river provide scenic distractions as you run by the water’s edge. The river also attracts much birdlife and I even unexpectedly saw two black rabbits while on the course! The Wynnum parkrun course is similarly located on the water, facing Brisbane’s Moreton Bay. The earlier 7am starts in Brisbane often allow for glimpses of glorious sunrises over the water in the cooler months. The Wynnum course is also fully paved and very fast, in fact I would go as far as describing it as ‘pancake flat’! So a perfect venue* for some sweet Canadians to run all over it and do some parkrun tourism of their own!